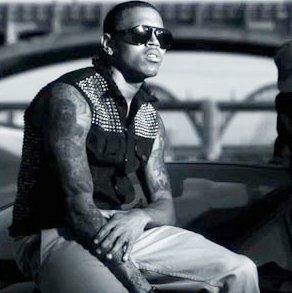 “What’s My Name” by Rihanna & Drake is currently one of my favorite Top 40 songs out there. Between Rihanna’s vocals, Drake’s disgustingly creative lyrics, and a great instrumental, it’s just a prime song. 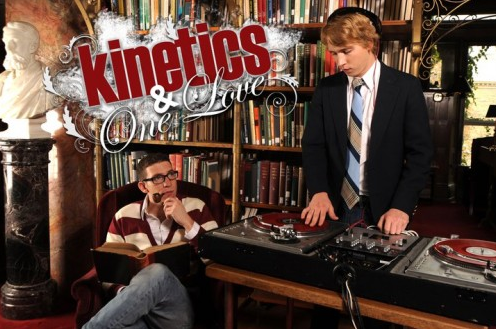 Kinetics & One Love added some rapping and singing over the track. I’m obviously a K&1L fan, and usually I think they improve the songs that they remix. However, I’m not sure that’s the case with this one. I think I just like the original too much to say that this time. It’s still good though. Here’s some more new Rihanna that I can’t decide if I like or not. It’s really, well…Rihanna. People say they get Lady Gaga Syndrome – when you love her songs and then the radio kills it and you can’t stand it. Personally, I get Rihanna Syndrome. And to be honest her voice straight pisses me off nowadays. I posted it anyway cause I figured I’d probably end up liking it. I like Drake’s part though. Rihanna, you’re annoying and repetitive. But I like your ginger locks. Take “I Get Lonely Too” home. Anyway, here’s some pretty awesome new Drake for yoo guyz. I feel like I’m the last music blog in the world to post this song…I’ve had it for a couple days but I’ve been so busy I haven’t had time to post it! Sorry I have a life outside of the internet..WHAT. Anyway, Lil Wayne continues to amaze the general public by sneaking in & out of jail to record new songs without being caught…KIDDING jeez I’m not that slow. 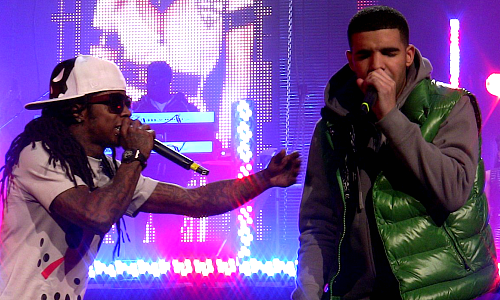 So here’s nothing new by Weezy and Drizzy. I always hear this mashup on weekend mixshows, finally found it on good old YouTube. YouTube does wonders for bloggers who are too cheap to buy the wordpress upgrade that allows you to upload your own audio. Whatever, I’ll get it soon. Promise.